It takes a lot to get me weary, after all the life I’ve lived. It takes a lot to get me afraid. After the attacks on Nice, France I actually thought, “Maybe Trump is right? Maybe we do need to keep Muslims out of America.” I’m mad that we will have another moment of silence at church this Sunday. Then I stopped, I remembered that “do not be afraid” is the most-repeated phrase in the Bible. I remembered that perfect Love drives out fear. I remembered that I’m an indestructible Love Hulk. I reached out to three local Mosques/Islamic centers. I asked if I could sit down and listen. Instead of running away from my fear I’m choosing to HONOR it. I’m nodding at the scared-looking little Claire, putting my hand on her knee, and reminding her that Love Wins, assuring her that we will help Love Win. 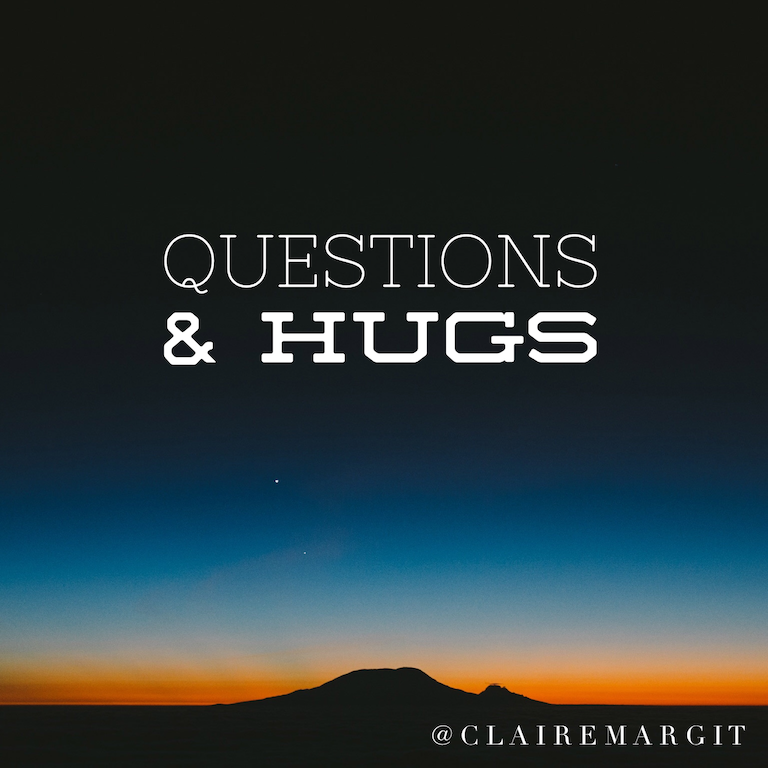 I have questions and hugs for my Muslim brothers and sisters. Please don’t stop crying. Every tear is a silvery prayer.